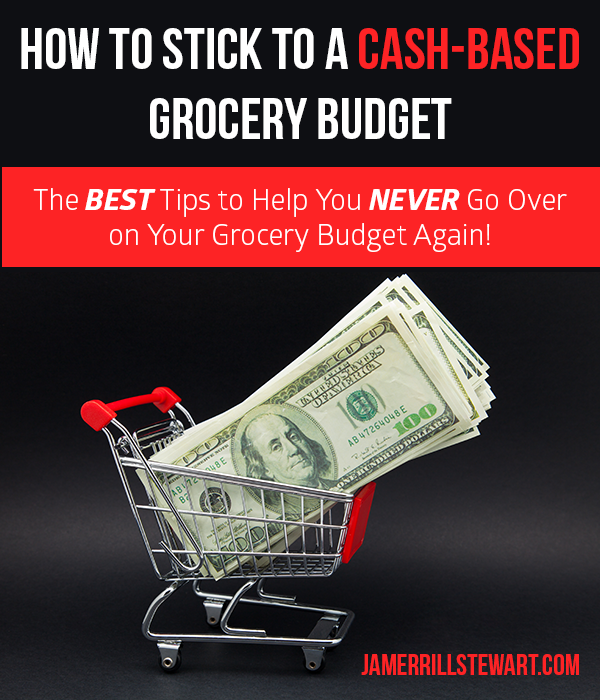 The BEST Tips to Help You NEVER Go Over on Your Grocery Budget Again! Do you shop with cash? As in the green bills and not a debit card? I was forever going over $10 at this store, and $30 at that store, when I shopped with my debit card. Then through Dave Ramsey’s Financial Peace University my husband and I learned about an MIT study that showed something interesting; when you shop and make your purchases with cash it actually activates the pain receptors in your brain. When you shop with plastic, yes – even a plastic debit card, it does not stimulate the pain receptors. This means your brain actually FEELS something when you shop with cash. Practical Tip: Write a check for the budgeted amount for groceries and cash it. Put it in an envelope. Then only buy groceries out of that envelope. Don’t buy anything but groceries out of that envelope. Again, this is wisdom we’ve learned from Dave Ramsey. We’re not that smart. We’ve been doing a cash-based budget for our family finances for about 3-years. 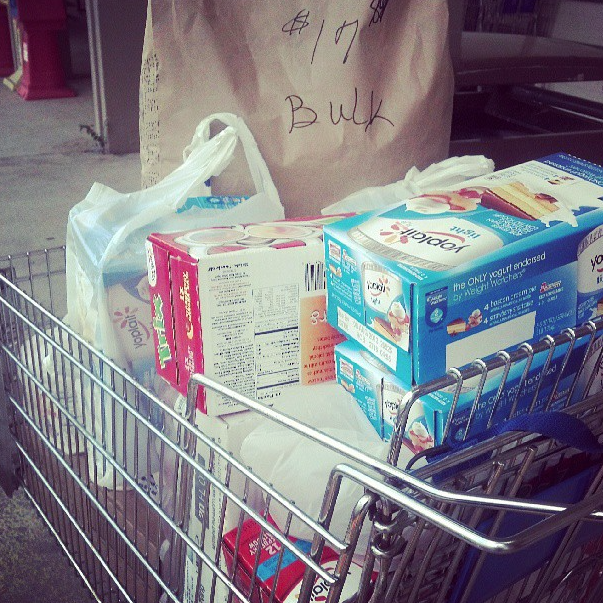 On our grocery day I take out only the budgeted grocery cash and I spend only that cash. I feel dirty now when I use my debit card. Dave Ramsey isn’t against the use of debit cards, but he does teach that we need to feel money again. When I shop with my debit card I don’t feel it and it’s easy for me to overspend. I also believe shopping with a cash based grocery budget saves another $300-$500 a year, most likely far more. In being purposeful with the cash in my budget I don’t look for extra items and additional deals. You won’t read that often online. However it’s true that it’s only really a deal if I need the item. I don’t go into all these stores on my once-a-month grocery shopping trip to build a stock pile on what they have on sale on that particular trip. Some moms do this, they work the sales/stock pile system hard, it works great for them – and I’m cheering them on. In my opinion to work sales well you need to go weekly or biweekly grocery shopping. Shopping specific sales and deals takes extra time each trip to coordinate. This is time that personally for me between raising a family, homeschooling a herd, and running a full-time business with team members, I don’t have the extra time during this season to shop that style. If you find yourself in a season where you can put the time into working sales and creating a meal plan off of those sales you might find some tips in how I feed my family of 7 for $400 per month. 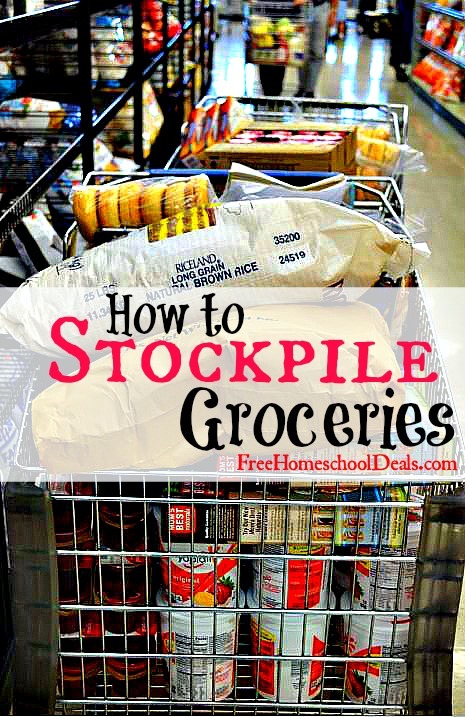 You can also read here on how to save money on groceries by building a stock pile. Also, The Prudent Homemaker has information on how she feeds her growing family of 9 on 40-cents a day. You read that right. She appears to have made an art and ministry out of cooking from scratch, raising full gardens and feeding her family well. You can also read her schedule here. There’s one avenue of meal planning and saving money on groceries that says, “shop the grocery deals first, then meal plan around your deals.” I do the exact opposite, at least during this season. I’m not finding the best deals and making those deal items into my meal plan. I do my large family meal plan first and then shop for my meal plan specific products at the best price. Example if I need chicken breast I don’t have time to wait for chicken breast to be on sale and go back to the store then. I assess the chicken breast choices in front of me when I’m there to shop. I buy the best quality chicken breast at the best price at that time. My time and energy savings are very valuable too! And really, unless I’ve put a lot of time into working a deal up on chicken breasts, how much will I really save once my time is factored in, additional gas expenses (in my situation I live over 30 minutes away from major stores), etc. That being said that doesn’t mean I shop unwisely. I get a lot of the same items every month (meats, fruits, vegetables, oatmeal, brown rice, yogurt, and marked down bread – I’m fairly boring 😉 ) so I know what the price ballpark should be. You can create a grocery price match book to keep track of the best prices and fluctuations. I see when fruits and vegetables change seasonally so I take advantage of what’s in season. At the time of this posting strawberries are substantially lower so we’ve been enjoying a lot of strawberries. I watched milk get up to about $4 a gallon. Now for the last several months it’s down to around $2.59 a gallon. This means I’m picking up a few more gallons of milk right now because I know we always need milk and I see the savings value. 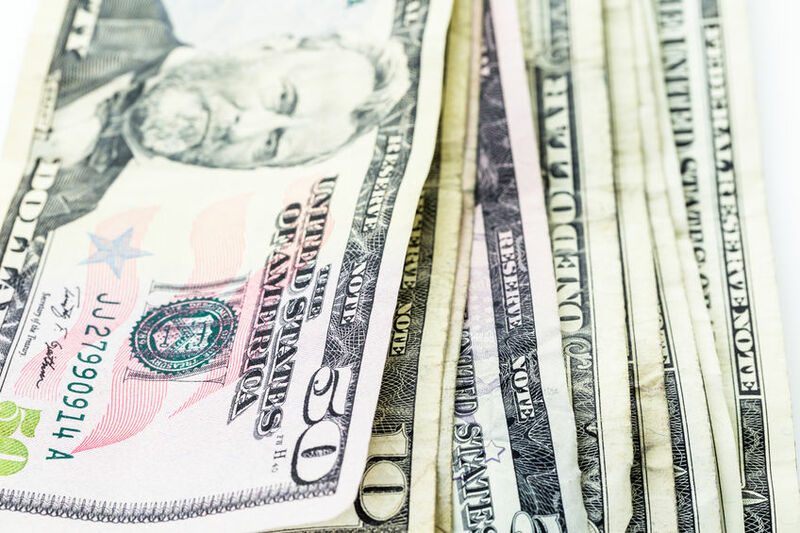 In a situation where you’d like to still take advantage of deals you can designate a certain percentage of your grocery budget for variable deals. The only store where I’ll find valuable deals consistently is my local grocery outlet called Sharp Shopper (you can see this in my videos). I take advantage of these deals because I don’t have to put energy into couponing or price matching. In the large family grocery budget breakdown I share that in that store in particular I have about $60 of “deal money.” Since Sharp Shopper is a grocery outlet I never know if they’ll have 2/$1 bags of bagels or a case of something special. So I plan for part of my money in that store specifically to take advantage of their deals. To stick to a cash based grocery budget, complete your family meal plan in advance and make a grocery list. It amazes me how often I use to go to the grocery store without a meal plan in place or a full grocery list. 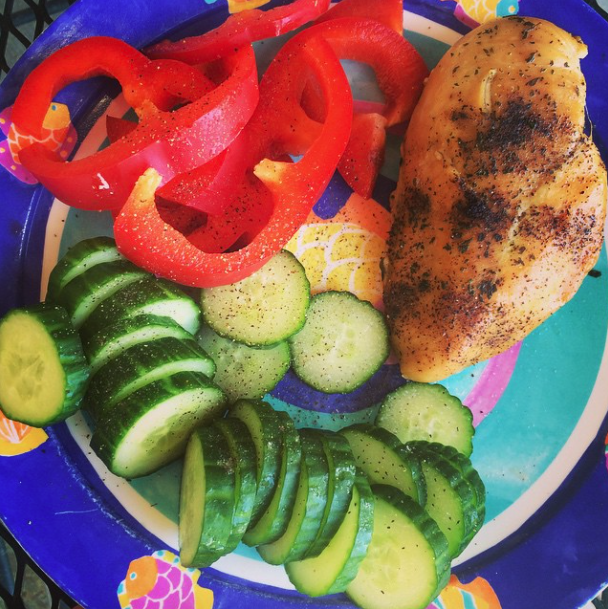 By having a meal plan in place first, it helps give me focus for creating my grocery list. Once my grocery list is created I’m ready to grocery shop on purpose for the items I want and need. How do you stick to your grocery budget? Have you ever tried a cash-based budget for groceries? I sure do talk an awful lot about food, huh? You’re going to see a pattern here. Food because I like to feed my face and I feed the faces of all these sweet people all day, everyday. Jesus and the Bible, because I have to feed my heart and head with God’s Word each day or I’m not the best me. Family life because we live it everyday. We’ll continue to talk lots on homeschooling, because once you’ve homeschooled for a decade it burrows down to the depths of your soul. And I just love supporting homeschooling families and making life a little easier for them when I’m able. In the meantime I’ll just keep threatening to share more about blogging and business. Can’t seem to get my mouth open on that just yet. Trying! I have a difficult time staying within a budget for food because purchasing organic food is very important to me (at least as often as I can). That is not to say that I am able to have a complete diet of organics, but lets use your example of chicken breast….I am so utterly torn between purchasing what is more cost effective vs not wanting to, in the end, spend more money on trying to combat and heal from GMOs, antibiotics, pesticides, etc. I am NOT trying to preach, judge, nothing of that sort! As I stated, I am not able to eat only organics, so certainly I am forced to eat those things which sicken me. I am sincerely asking for help in finding a SAFE, budget friendly answer to how do I do this???? Whenever I shop, I am almost paralyzed because I want to eat healthy and yet I cannot afford to! Does anyone else face this dilemma? So frustrating. Do you have a Fresh market nearby? Usually on Tuesdays they have ground chuck and Chicken breast on sale for $2.99 per lb. It may not be organic but it’s close. Marilyn, to address your dilemma–one solution might be to look around and see if there is a local source of something you can buy in bulk for a better price. For example, near us there is a farm that has good prices on pastured beef *if* you buy the whole cow. Not many people can afford to do that (or have the freezer space for that much meat! ), BUT if you find a friend or two willing to split that cow with you, it becomes more affordable. So maybe something like that might be worth looking into. Or look into meat co-ops or farm CSAs. I was talking to a friend about how frustrating it is that if you want to eat clean you have to spend a silly amount of time procuring food, because it’s a trip to the co-op pickup here, a trip to Costco there, a trip to the farm there, etc. instead of a one-stop shop–and I realize that not everyone has the time to do that (I don’t right now either). You can also prioritize–look at the Dirty Dozen and eat those items organic, but don’t sweat the ones on the Clean Fifteen, for example. Do the best you can, and let the rest go for now. I enjoyed this post. I enjoyed the real-ness of it. I recently wrote a post about this same thing. I do shop one major trip a month but smaller trips weekly. The grocery store we shop at is literally less than a mile away so weekly trips aren’t out of the way for us. I do shop the sale adds from time to time for deals on items I know we’ll use and use coupons if I have them. I do not shop multiple stores for their bargains because it cost too much time to do so. My time is money for me. We are also a homeschool family, husband works full time and I have a blog. Extra time does not come easy. I’m not willing to spend that extra time shopping around for deals. I can totally agree with the pain receptor thing. I have a hard time with the cash method because even the thought of going shopping with a certain dollar amount in my pocket without the assurance of my debit card gives me anxiety. I think its because I used to be extremely low income, at times having to figure out how to feed my kids as a single mom of 2 on $10 for the week. It was so incredibly stressful. Now I am married to a wonderful man who provides for me and our 4 kids so that I don’t have to stress about how I am going to buy groceries. But the psychological aspect of it is still there. My grocery budget is $250/week and usually, I can stick to it. However meal planning is a challenge with 4 kids who all like different things. One of my boys will eat only peanut butter or cheese sandwiches. Another who will only eat PB&J, and my youngest likes only ham and cheese. Do you ever have to deal with picky eaters? When you do your grocery budget – is that just food or does it include household items, cleaning supplies, etc.? I’m trying to figure out what’s a realistic budget for us as a family on nine. I undoubtedly go over budget because I’ll need dog food or toilet paper or laundry soap…I’m struggling with this.